The once peaceful city of Park Falls has been tainted by a series of missing persons and gruesome murders. Town crazy Cynthia Ford comes forward to speak with retired police detective Derrick Peters one January afternoon with information about the strange happenings, claiming that they''re connected. But does she hold the key to unlocking the mystery, or has she gone completely insane? To Derrick''s disbelief she utters one word: Zombies. 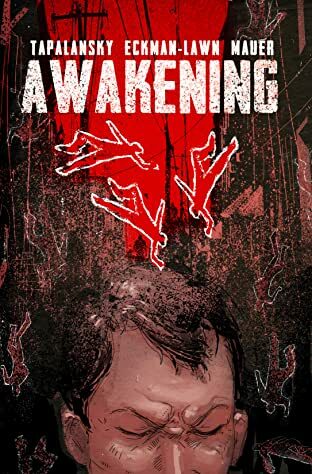 The answers await Derrick, federal scientist Dr. Daniel Howe, attack survivor Sandra LaFayette, and the rest of the city, but will they lead to salvation or the end of life as we know it? 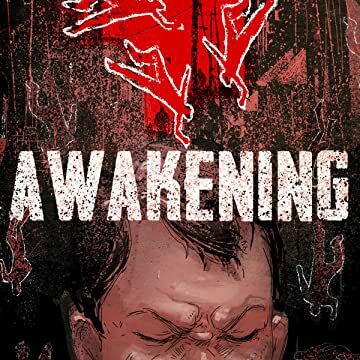 Investigate the mystery and dive into the horror of the critically acclaimed zombie noir series, Awakening, now collected in one giant volume, including a short story, production extras, guest pin-ups, and more.